Enlarge / A camera trap working properly. 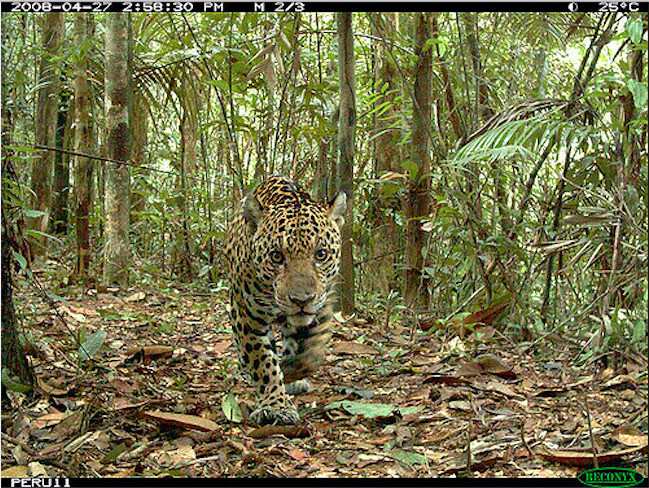 Over the past two decades automated wildlife cameras—known as camera traps—have proven invaluable in ecological research and conservation management. Their sensitive motion detectors have enabled scientific surveys of rare or shy animals in dense forest and as a consequence have seen broader use around the world. But camera traps frequently take pictures of people as well as wildlife. This has important implications for privacy and human rights and may ultimately undermine conservation goals. Initially, for that reason, the ability of camera traps to monitor human as well as wildlife activity in areas of conservation importance may look like a double win for conservation. But the fact that these cameras often take pictures of people can be highly problematic for two main reasons. Firstly, many respondents said that they had captured images that either they considered to be private (for example of people going to the toilet), or which showed a person trying to avoid the camera (for example, images of people covering their faces). In some countries, distributing images of people without their consent can result in substantial penalties. Even where this is not against the law, steps should be taken to ensure that camera traps do not infringe reasonable rights to privacy. Second, even if images of people are not used or shared, camera traps can still generate fear and anger—and this can lead to local opposition to camera trapping. With the long-term success of most conservation projects depending on the support of local people, it is vital that their issues with camera traps are taken seriously. Three-quarters of the researchers we surveyed reported local objections to cameras, either in the form of complaints or direct interference such as damage or theft. Sometimes people went to great lengths to interfere with the cameras. For example, one respondent said that they once found a patch of burnt ground, only one square metre in area, exactly where their camera used to be. When we asked what researchers thought had caused these cases of interference and objections, the most common answer was “fear or concern about what might happen with the images”. This fear can take extreme forms. For instance, one of our respondents in South America said that they had found a woman next to a camera trap who thought it was being used to take pictures of her children with a view to kidnapping them. Clearly, conservation projects whose cameras are damaged or stolen are going to face the cost of replacing equipment and often also lose data. For these reasons alone, it makes sense to avoid angering or scaring local people. More broadly, the antagonistic relations with local people caused by camera traps can give conservation projects a bad name and even promote damaging activities: several researchers reported that those who objected to the cameras retaliated by killing wildlife. Despite the frequency of these issues, they are almost never discussed in conservation or ecological scientific studies. And although most of our respondents recognised the potential problems with the use of pictures of people, the dilemma of how to best to handle them is not being publicly debated. Luckily, researchers themselves are thinking about this problem. Protocols established by our respondents to manage pictures of people caught on camera included blurring images, or not publicly sharing them. This blurring could even be done automatically, using machine algorithms, so that images containing people are blurred before they are seen by human eyes. Some individual researchers have gone further and have substantially involved local communities in their projects—reassuring them that the cameras were not there for law enforcement purposes, involving them in the process of deploying the cameras and sharing the images with them. But, despite these independent efforts, to date there are no standard guidelines agreed by conservationists. The implications of camera trap technology for people’s privacy and well-being need to be more widely and openly discussed, and good practice shared. Conservation projects need to make sure they have proper protocols in place to minimise social impacts and stop useful wildlife research tools from damaging both the short and long-term success of wildlife conservation projects. Disclosures: Rogelio Luque-Lora receives funding from The Cambridge Trust. Bill Adams and Chris Sandbrook do not work for, consult, own shares in or receive funding from any company or organization that would benefit from this article, and have disclosed no relevant affiliations beyond their academic appointment.